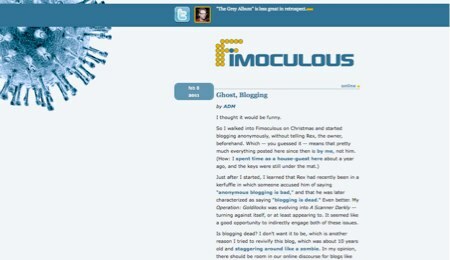 ADM for Fimoculous discusses anonymous blogging and asks whether blogging is dead. 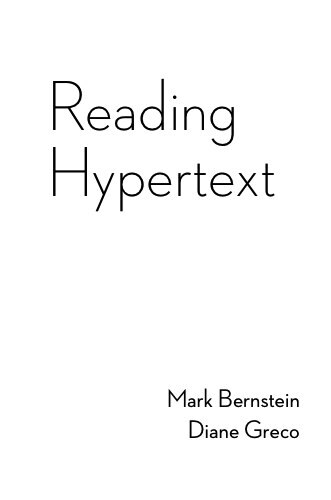 Citing the increased popularity of “TL;DR” (too long; didn’t read), he concludes that blogging is on its way out, in favor of Twitter, Tumblr, and Facebook—that we would rather simply hit the “Like” button than pursue thoughtful discourse across blogs. This is yet another “our attention spans are getting shorter” jeremiad, and like most of its kind, the article itself is pretty long. When I got to the end, I realized my attention span appears to be intact. The author does bring up interesting questions on the value of skimming. A confession before I continue: for every one of those sites I mentioned, I have often found myself getting the gist of a post, thinking "that's a good insight," and then skimming the rest of it. Does that matter? The post also includes a list of some blogs that are alive and kicking and worth checking out.